Here are preview clips for Law & Order SVU, “Unintended Consequences” which will air on Wednesday, November 8, 2017 at 9PM ET on NBC. The videos feature Mariska Hargitay, Ice-T, Peter Scanavino, Peter Scolari, and Brooke Shields. NOTE: THIS EPISODE IS BEING POSTPONED DUE TO GAME 7 OF THE WORLD SERIES. New air date November 8, 2017. My recap and review of Law & Order SVU “Unintended Consequences” can be found at this link. SVU_1906Clip1_h264_sd_16x9 from Chris Zimmer on Vimeo. SVU_1906Clip3_h264_sd_16x9 from Chris Zimmer on Vimeo. The special victims case in “Complicated” wasn’t very complicated, in fact, it seemed very familiar. That’s because Law & Order SVU already did an episode in season 10 titled “Stranger” that followed a virtually identical story line of an imposter presenting herself as a girl who’d gone missing years prior. It was no surprise that the missing girl had been killed by her brother, the body disposed of by his father in order to shield the boy from any consequences of his actions. Was it completely inappropriate for NYPD to be digging out the girl's body and then have Carisi take it away, wrapped in the original blanket? I would think that forensics would be there to dig it out, collect evidence, and then properly transport the body to be further examined. Luckily, this episode wasn’t all about the SVU case. Benson’s problems with Sheila Porter and the custody of Noah ramped up. Benson and Trevor Langan end up in court facing Sheila Porter and her attorney. Benson is quick to argue her case at every step, despite what seems like Trevor’s efforts to calm her down. Later, we get a tearful scene with Benson as she confides with Barba on the custody case. Barba thinks Sheila Porter can’t get custody after 3 years and Benson knows the law is on her side. But Benson worries because the judge is allowing Sheila’s filing for visitation. Benson struggles that she doesn’t know if it’s right to keep Noah from his only living relative. Ultimately, Benson takes the high road and meets with Sheila, where Sheila explains her own struggles with her daughter Ellie - Noah’s mother. Later, Benson has invited Sheila into her home to meet Noah, who is quick to call her grandma and hold her hand while he shows her his room. Will this remain a happy arrangement or will things turn bad down the road for Benson? We all know that it’s hard for anyone to live happily ever after on Law & Order SVU. The cameo by Isaiah Thomas felt shoehorned in and very awkward. If ever there was a deleted scene in an episode, this should have been one of them. Note: THREE deleted scenes have been added below, which explains the newspaper reporter issue. Here are advance photos for Law & Order SVU, “Unintended Consequences” which will air on Wednesday, November 8, 2017 at 9PM ET on NBC. 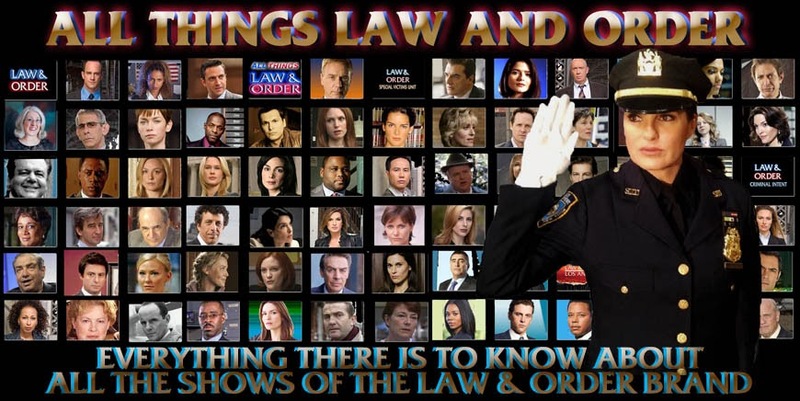 The photos feature Mariska Hargitay, Ice-T, Kelli Giddish, Peter Scanavino, Brooke Shields as Sheila Porter, Ryan Buggle as Noah Porter-Benson, Annie Corley as Rosemary Taylor, Gus Birney as Kristi Martin, Anna Dale Robinson as Blanche, Anthony Cason as Henry Gold, and Antino Crowley-Kamenwati as Andre "Hackapulco" Johnson.